Uca sp. 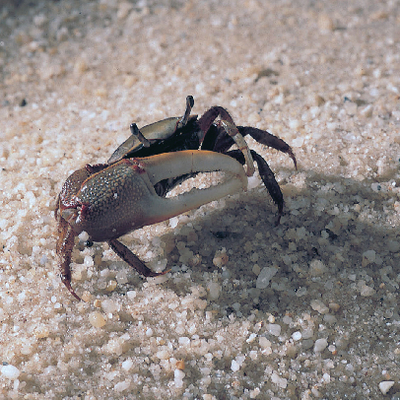 The fiddler crab gets its name from the male’s larger claw, which it waves up and down in a fiddling motion when threatened or when attracting a mate. Excellent for observations of circadian rhythm, regeneration and mating behavior. 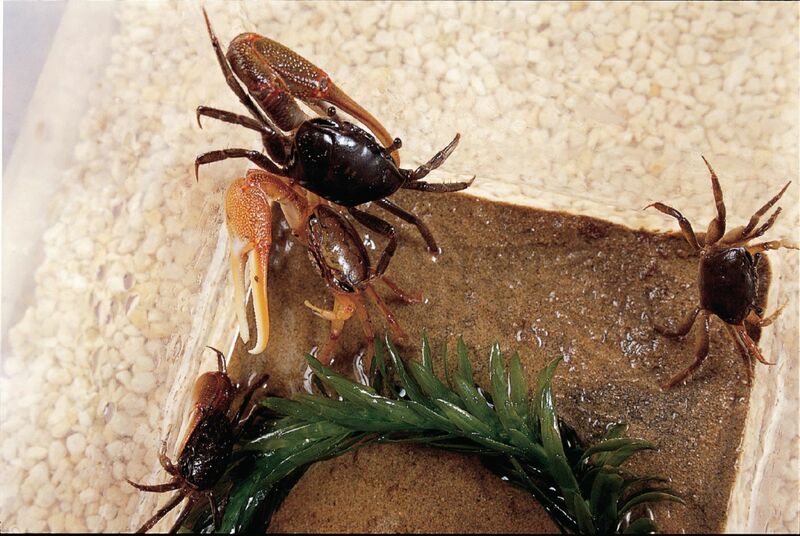 Commonly found along beaches and mud flats, they act as detritivores, eating decaying matter. Crabs are approximately 1" in size. sand, and a coupon redeemable for a 3-pack of hermit crabs.